Our client is a is a premier global provider of responsive management consulting, logistics solutions, and professional services, delivering quantifiable cost savings and improvement in mission readiness to our customers. 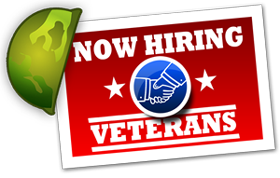 They are currently seeking a Senior Cognos Developer in Navy Yard, Washington DC. JOB DESCRIPTION Provides Cognos Developer support to the SEA 10 Corporate Operations and Total Force Directorate. Serves as the Senior/SME level Cognos developer and the lead for all Cognos development efforts on the Enterprise Data Warehouse (EDW) in support of SEA 10. As the senior Cognos Developer responsible for working with SEA 10 Data Analytics customer to gather/refine user requirements, validating requirements, using agile development practices to build design and build to the requirements, test and verify that product conforms to requirements, and ensure customer acceptance after delivery. Using Cognos builds reports, dashboards, and metrics in EDW. Develops and maintains data catalogues, data cubes, queries, and reports. Oversees quality of Cognos products to ensure consistent validation against source data and requirements through Lifecycle of the report/dashboard/metric. Provides in person and remote training to users and peers on Cognos platform features, capabilities, reports, dashboard, and metrics. Documents all requirements, development activities, tacit and implicit knowledge as a resource for users and the 10A team. As necessary leads small teams of developers to complete large projects and present projects/briefs to leadership. REQUIRED SKILLS AND EXPERIENCE Core Competencies: • Cognos (with V11 experience)• Visual Design• Agile Development• Verification & Validation• Data Analytics• Modeling & Simulation• Statistics Experience: • 12 or more years of professional and relevant experience.• Experience with V11 of IBM CognosOther Requirements:• Expert knowledge of IBM Cognos products.• Master in ability to design and develop Cognos Analytics dashboards and active reports.• Master in ability to apply agile development practices to requirements gathering and product development.• Master in ability to validate data and visualizations against requirements and source data.• Master in ability to design data visualizations for consumption and understanding by non-technical users.• Master in ability to use SQL for selecting, summarizing, and reporting on data from a structured database.• Strong ability to multi-task and organize work and schedules• Strong ability to communicate thoroughly and regularly with customers, supervisors, and peers. REQUIRED EDUCATION • 4-year degree in engineering, computer science, mathematics, or related majors REQUIRED SECURITY CLEARANCE • Active Secret clearance is required PLEASE APPLY ONLINE: https://chu.tbe.taleo.net/chu02/ats/careers/requisition.jsp?org=C2PORTFOLIO&cws=1&rid=8466 EOE M/F/Disability/Vet Our Client will not discharge or in any other manner discriminate against employees or applicants because they have inquired about, discussed, or disclosed their own pay or the pay of another employee or applicant. However, employees who have access to the compensation information of other employees or applicants as a part of their essential job functions cannot disclose the pay of other employees or applicants to individuals who do not otherwise have access to compensation information, unless the disclosure is (a) in response to a formal complaint or charge, (b) in furtherance of an investigation, proceeding, hearing, or action, including an investigation conducted by the employer, or (c) consistent with the contractor's legal duty to furnish information.